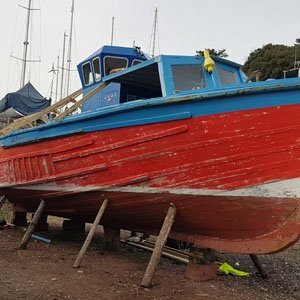 About Us - Devon Wooden Boats Ltd.
Devon Wooden Boats Ltd. was founded in 2010 by Pete Newbery-Thornton working out of his sister in-law’s quadruple garage in Kingsteignton. After 5 years we then moved to workshop units on the River Dart in 2015 and grew to the current team of 3 people. Since the summer of 2017 we’ve been based at Units 1 & 2 Lapthorne Industrial Estate on the Totnes Road between Newton Abbot and Totnes near the Ipplepen garage. 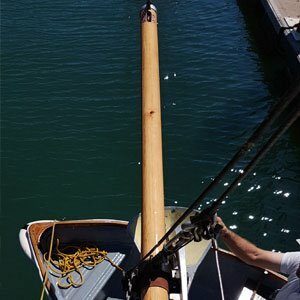 Our company has quality and safety at its heart designing, building and repairing wooden boats to the highest possible standards using only the best quality marine timbers, fixings, coatings and adhesives. 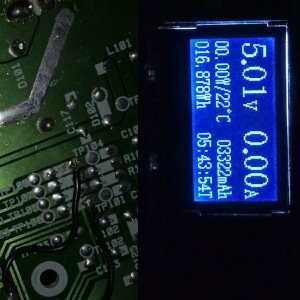 We try to keep the traditional skills and workmanship alive while adding modern tools and methods to deliver projects on time and on budget wherever possible. 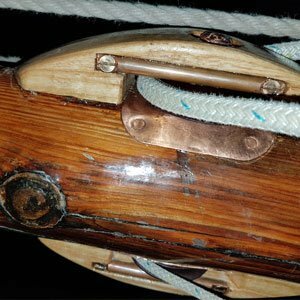 The company founder Peter Newbery-Thornton had wanted to design boats and be a shipwright from the age of seven rather than take over the family Savile Row tailoring business. 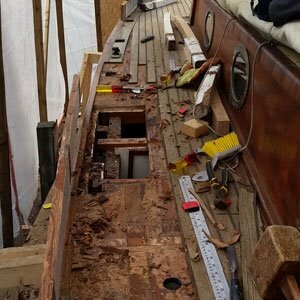 When he was meant to be studying for his GCSEs he was actually in the back corner of Emsworth Yacht Harbour restoring his Newbridge Topaz 18’ which he had bought as a wreck after selling all his dinghies. 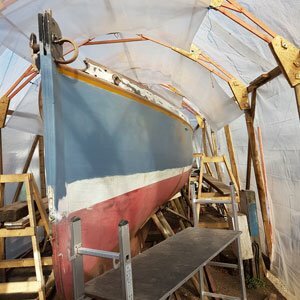 She needed her keels re-bedding, cracked transom repaired, new woodwork, windows, deck fittings, mast re-glue and complete repaint and varnish. Once finished he went sailing for three weeks as he wasn’t allowed to begin an apprenticeship until he was 16. 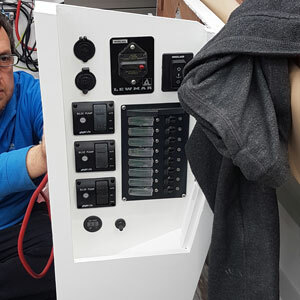 He started his apprenticeship in 1987 at Porter Brothers in Emsworth and completed it at Shamrock Quay, Southampton working with Bob Hatcher and Barry Honey restoring and maintaining classic yachts. 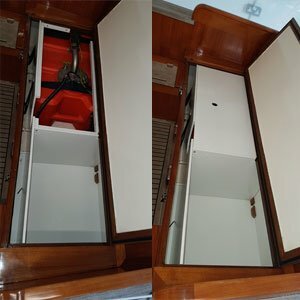 Through a family friend he had the opportunity to work for Contact Yacht Services in Lefkas, Greece and gain experience of a broad range of modern large sailing and motor yachts. 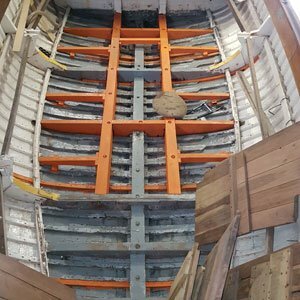 He returned to the UK after two years to help finish the construction and fit-out of a luxury Dutch style barge for his family. 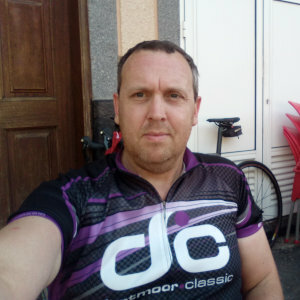 In 1995 he retrained as an AutoCad design engineer, later moving into the internet marketing industry where he remained until 2009, running his own companies and working up to senior level in several Dot Com businesses. 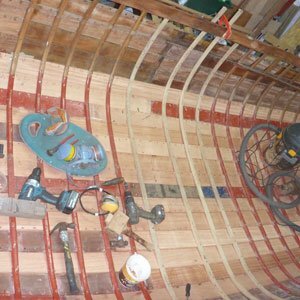 Peter returned to the marine industry in 2010 starting Devon Wooden Boats when the call to return the workshop became too strong to resist. 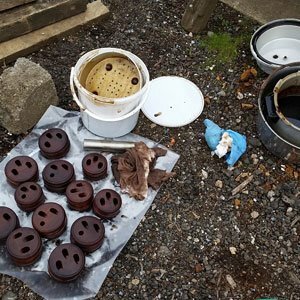 He spent some time looking for a wreck to restore to use as a portfolio piece, not finding anything suitable he quite literally returned to the drawing board. 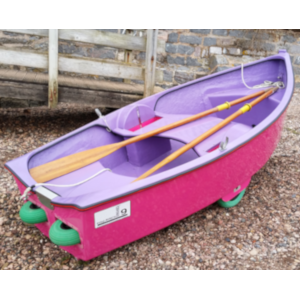 He remembered the pram dinghy designed and built for him at the age of four which had retractable launching wheels. He asked his mother if she still had the drawings and she thought they had ended up covered in glue and thrown away. 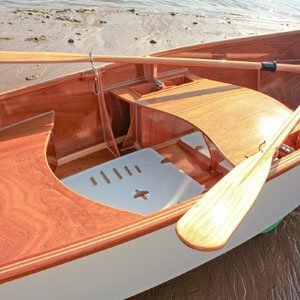 He designed the new Devon Darlin’ 11 applying the retractable launching wheel concept to make it easy to use. 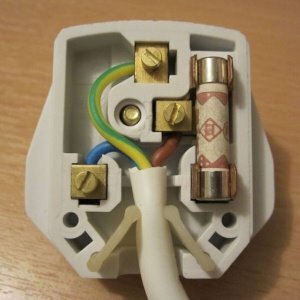 It had to be safe for all the family and comply with the Recreational Craft Directive. 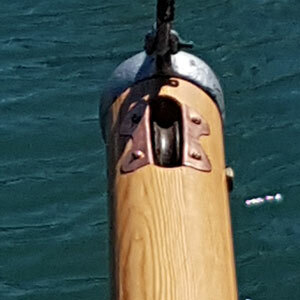 Most importantly it had to really turns heads in the club dinghy park or on the slipway/beach. 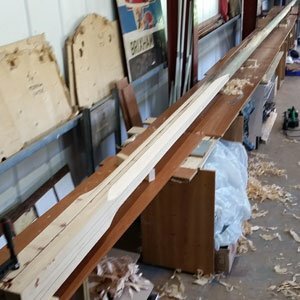 When he had finished designing the Devon Darlin’ 11 and was starting to setup the jig for building it, his mother stopped by the garage/workshop with a slightly sheepish look on her face. She held a cardboard tube, while saying ‘Sorry, look what I found in the back of the cupboard under the stairs: the original drawings’. 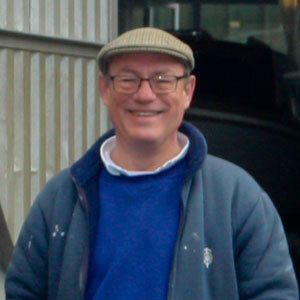 For the first four and half years he worked on his own from his sister in law’s quadruple garage and local yards doing repairs and refits. 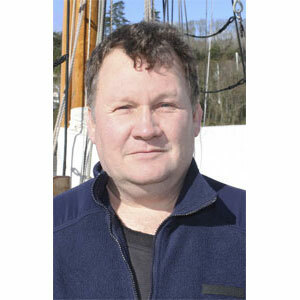 Having outgrown the garage, he moved to a boatyard on the River Dart. Within two years he had outgrown those facilities too. Then moving inland onto an industrial estate with two units totalling 3,700 sq. ft. This move gave him significantly better working conditions and the space for growing the team. 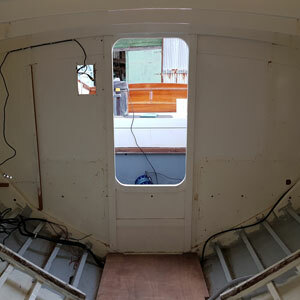 We now have the space and the team to start building new boats as well as continuing with the specialist restoration and refit services we have become known for.